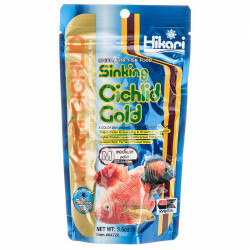 Hikari Sinking Cichlid Excel pellets are specially formulated for herbivorous (plant eating) fish. 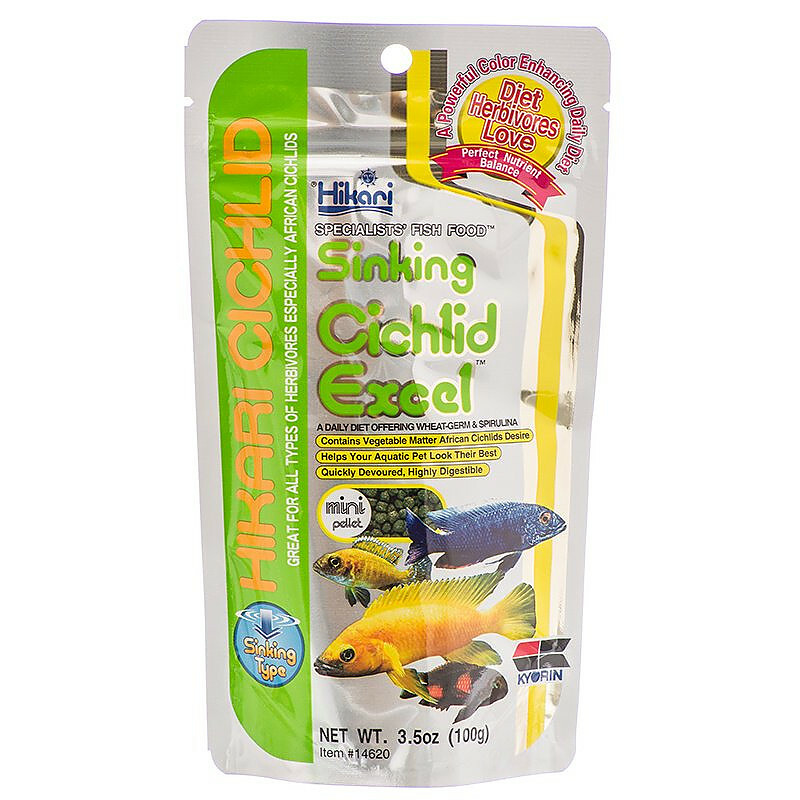 Sinking Cichlid Excel is a superior diet that can be fed to African Cichlids and many types of plant eating tropical fish with excellent results! 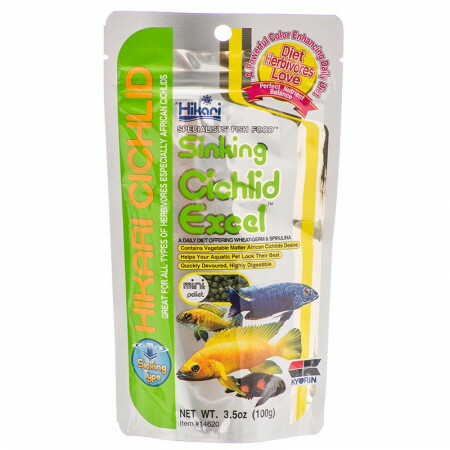 Sinking Cichlid Excel formula combines wheat-germ, spirulina and vitamins and minerals to provide a diet that is extremely nutritious, easy to digest, provides powerful color enhancement and promotes outstanding growth characteristics. 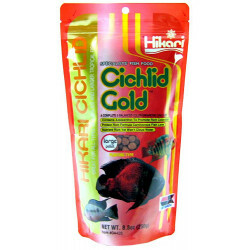 My middle dwelling and bottom dwelling African Chiclids love these pellets. Fish are healthy and happy and thrive. If the Chiclids don't get it all then the plecos will. 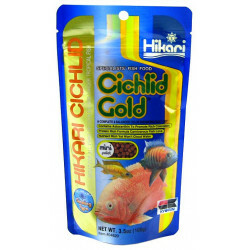 Excellent as always with Hikari, my African cichlids love this formula with plant ingredients that Milawai cichlids love. Hikari is my #1 choice for all my tanks. 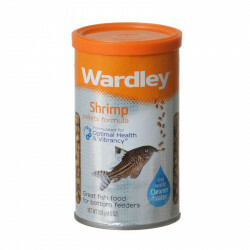 This product works well for fish that like to eat off the bottom. I use flake and frozen bloodworms as well to change things up but this is my go to food every feeding. The fish in my tank (75g) all developed new or maybe more vivid colors after a month or so of trying this out. Expensive in local stores but very reasonable when buying in bulk, almost the same price for 4x the amount of product.